"Awesome people great service very pleased with way I have been treated 5 out of 5 stars." 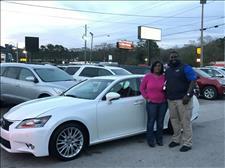 "Don helped me get the perfect car for me. The process didn't take all day. Everything was explained in detail. Thanks Don"
From the moment that I walked in the door, everyone has been very kind. I didn't wait for hours like I would have at other dealerships. I am very Pleased with my Experience." 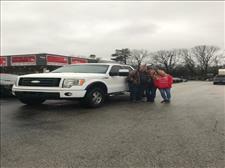 "Mr. Don Wood sold me my 2011 Raptor today, the fastest, friendliest service in Al. 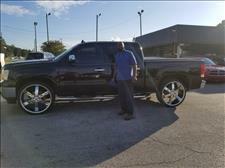 I recommend Waynes Auto for your next car or truck." "Best experience ever! No hassle, honest genuine good people excellent customer service." "John. Don and Liz were very helpful, polite and friendly while I was in their office purchasing my vehicle. God Bless"
"Muy buen servicio atienden muy amable, gracias!" 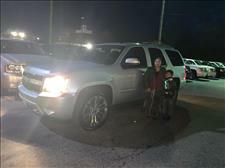 "Great Service here at Wayne's Auto Sales. had very many options to choose from and was worked with every way possible. Repeat customer." "This was a very painless process, the personal are very professional and do not push for a sale. They are not your typical salesman." "I really enjoy the service it was 100%. And i will recommend the service to all I know that wants to buy a car, nice sales person. Friendly and well manners"
"Me atendieron bien, es mi segundo carro. Gracias"
"Don was an awesome sales person, also Liz, was awesome I'm glad I came here you guys." 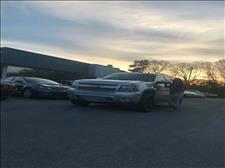 "I am very well pleased with Wayne's Auto Sales and the people who work here. They are very welcoming and friendly. They treated me as if I and my family were close friends. They helped me out tremendously. I can not thank y 'all enough. " "Love the service at Wayne's Auto Sales 100%"
"Very good, easy , and fast. Satisfied!" "Very professional team, helpful with sales and great inventory." "Staff was very nice and professional. 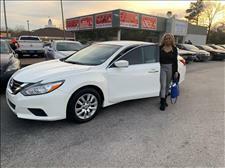 Thanks for helping us with our car buying experience." "They are all helpful as can be and very willing to work with you. Wasn't a very long process either! 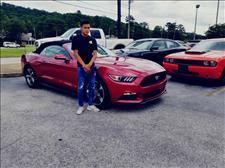 I would highly recommend them to any and everyone that needs a car." 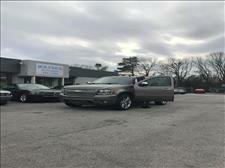 "The staff at Wayne's Auto Sales are friendly, patient and knowledgeable. They are not pushy. they will answer all questions and give the keys to drive as many vehicles as you wish. When you finish, if you aren't ready to make the purchase on the spot, they will print out all the info you are quoted. While we were there the owner, Wayne, came in to meet us. This man does not have to tell you he is a Christian, because you will see it in him. He is soft spoken and has a heart of gold. We have used other dealerships in the past, but no more, Do yourself a favor and visit Wayne's Auto Sales. You will not be disappointed. Oh, did I mention their vast supply of quality, late model vehicles. Come see them. " 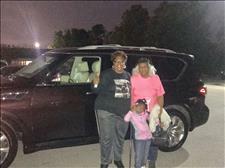 "Was a great experience purchasing a vehicle from Wayne's, I'll come back for more!!!" 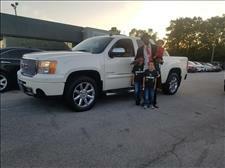 "This is our 2nd purchase from Wayne's Auto Sales. Mr. Wayne and his staff were wonderful to us both times. We will definitely return a 3rd time." 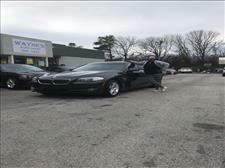 "I love working with my Rep, she was awesome, Wayne's auto is awesome. Thanks for everything"
"great service, love to shop at Wayne's"
"I really enjoyed my experience at Wayne's Auto. Mrs. Christie was wonderful. I was in and out in no time at all. Definitely would recommend to my friends and family." "Great customer service, lovely and pleasant atmosphere and great friendly enviroment. I was very happy that I was in and out, they work well with me, made me feel very comfortable." 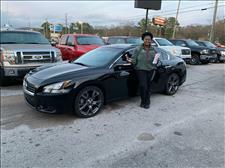 "I am a repeat customer and the sales team has always been great. And I thank them so much they're great"
"Very friendly, general courtesy. Wayne's is great." "Me paresio muy excelente el atendimiento." "Wonderful and easy. Very fast and great customer service. Very happy with my purchase." 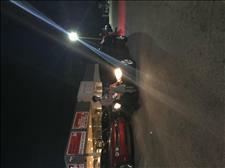 "Enjoyed there service, always been great people to us. Have purchased many car from them. Wayne's has been like a family to us and will always be a family. We love you guys." "My experience was awesome! Very welcoming as soon as I walked through the door. 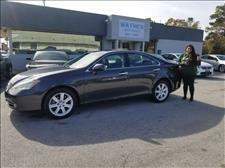 Wayne's helped me find the car I needed and for a reasonable down payment and monthly note. I would refer everyone I know to come and bring there business here. 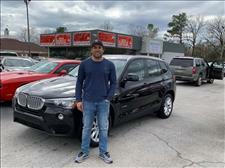 Thank you so much for the awesome and smooth experience of buying my next vehicle!" 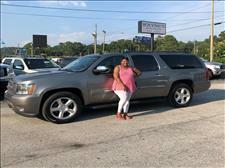 " I absolutely love Wayne's auto sales! Me and my husband have been a returning and have never left disappointed. 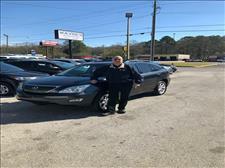 Don was a great salesman and found me a car i loved and is spacious for my whole family. Thank you guys! Definitely glad i came here." "Great experience, very good customer service. Great cars and very good payments. I would definitely recommend second time purchasing a car here at Wayne's"
"My car buying experience with Wayne's Auto was great. The customer service was excellent. Ernie was very nice, funny, and helpful. I will recommend Wayne's to people in the future." 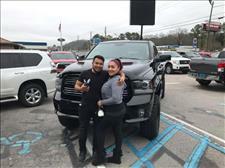 "Great place to purchase a vehicle. Explained to Ernie my situation and he was more than willing to help me get back on my feet and driving the vehicle I chose. I recommend Wayne's Auto Sales to anyone and go see Ernie when you do." " We came here after seeing all the nice cars and the people here were awesome. Very nice and it feels like talking to family and friends, Love this place. Mr. Don helped us so much. We love Wayne's Auto Sales"
"Great place! Very nice and professional. Took less than 2 hrs. to get everything taken care of." 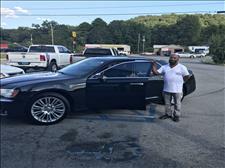 "I recommend people to come to Wayne's Auto Sales good customer service and I was treated with respect. No hassle , no pressure and will work with you (ask for Don Wood) Thank you and I appreciate the business." " Upon arrival I was greeted with a warm smile and a sturdy handshake. 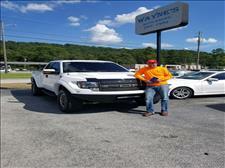 Wayne has some the best pre owned vehicles in Alabama you can find. I would recommend this place to family & friends." "The entire team is AWESOME! I can't express how much they have worked with me to ensure I am completely satisfied. I would recommend anyone to utilize their wonderful services. " 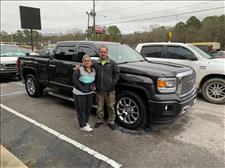 "We had a great experience buying a truck from Wayne's Auto Sales. Best sales people I have ever met. Great people." "Visit was amazing. Christy was very nice." " I bought a 2016 Ram Promaster cargo van. Came out on a Saturday and located a van I wanted, Don waited on me and I couldn't be more pleased with customer service that I was given . I highly recommend, if you are in need of a vehicle. Come see Don at Wayne's Auto Sales." "Very very awesome customer service. 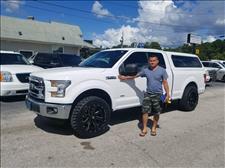 If you need a car, truck or suv, Don is the salesperson to see." 5 stars!!! Fast & friendly people!" " Very helpful as well as kind and understanding." 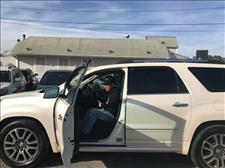 "It's my second time buying from Wayne's Auto and it only gets better. Thank you very much." "I am a repeat customer. Fantastic buying as always. Will definitely buy again." "It was an honor to feel like a valued customer at Wayne's Auto Sales. Thanks for my new car." 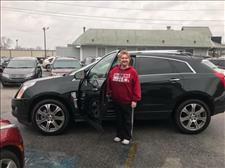 "My experience with Wayne's Auto Sales was a tremendous blessing. 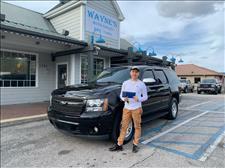 After looking for a SUV to our needs, and to be able to pick out the vehicle I wanted was wonderful.Before signing my paperwork I met the owner Mr. Wayne himself, he shared some encouraging words to my companion and I. 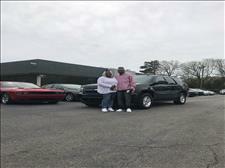 That we greatly appreciate Wayne's Auto sales for helping us." 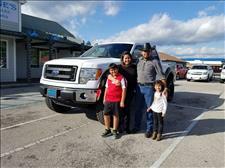 "Gracias, Easiest & fastest car buying experience ever! "El servicio fue muy bueno." "Thanks to Wayne's auto for making my day! The staff is wonderful and friendly. This is the firs time I ever purchased a car and the sales person didn't try to sell me what he wanted me to drive off in. I got exactly what I wanted. If you need a car please go see Ernie he will make your day as well. Once again thanks for giving me so much joy on my new purchase." "Great vehicles, great service, and family friendly environment." "Mrs. Christy was so much help. We appreciate them working with us!" Wayne's Auto Sales has got to be the best dealership for car buying that I've ever experienced. Being so young with hiccups on my credit was what I always worried about, but Wayne's changed that for me I've purchased the car that I've always wanted, I would literally search this car & I've got it at a great price. I will definitely be back to purchase another after this one is paid off with the one year program they have. "They are very friendly, fast, very cheerful. I recommend them to everybody. I love the customer service. They made it happen." 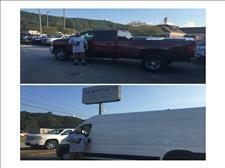 "I had a great time at Wayne's auto, these guys are awesome at what they do. 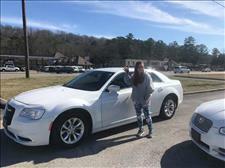 The car salesman are nice and fun to talk to and will hep you with any car you are looking for, I had a great visit, thank you guys so much." 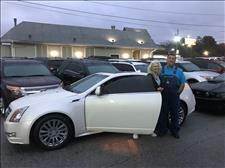 "I really love the service Mrs. Christi and Mr. Don are legit and Mrs. Christi is the best! I love you guys and would recommend everyone to come and shop at Waynes, Thanks for your service." "Muy buena experiencia, excelente servicio. 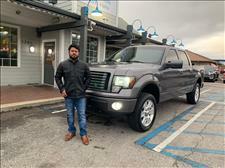 Es el segundo auto que agarro en el dealer y lo recomiendo 100 por ciento"
" I have been completely satisfied with my experience with Wayne Auto Sales. 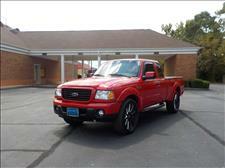 I have bought several vehicles over the years and I have been one hundred percent satisfied. 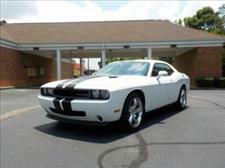 I have and will continue to recommend Wayne's Auto Sales to other perspective car buyers. Thanks Wayne!" "Great cars, very nice people! Thanks!!" " Ernie is the Best!! Love my 2016 Honda Civic!! Ernie is the person to come see at Wayne's Auto Sales. He is the best salesman we have ever have ever had! 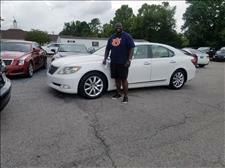 We have bought several cars from Wayne's and have loved everyone of them." 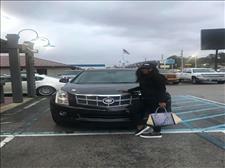 "Come shop with Wayne's, I was blessed today with a car thank god!" "I am really excited about my new car! The people here are very nice and will work with you! They have helped me in more ways then they know and I really appreciate that." 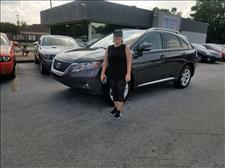 "I would definitely refer anyone to Cristina, she's friendly and well professional on cars that I want. She's helpful. I will come back for my second car buying to her." 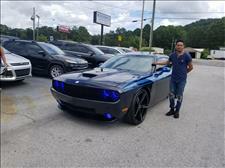 "Have been customer for the last 15 years and customer service has always been awespme, great doing business with Wayne auto sales and sales crew." "Great folks to deal with! 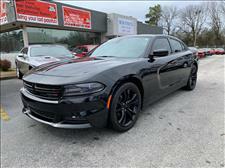 Very reasonable prices, right in line with values, come see Wayne's they will do you right!" "The people here are very friendly and are willing to work with anyone. I will be back in the picture." "Estoy muy contento con mi nueva camioneta. Te atienden muy bien y en tu idioma todo nos quedo muy claro, vengan se los recomiendo." 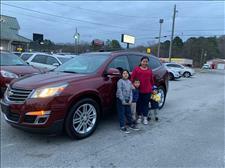 "Wayne's auto sales was a very nice and helpful place to come and buy a vehicle from. 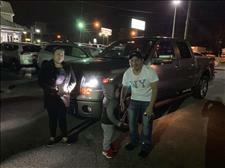 I would recommend them to anyone, I know now to come and get them vehicle from here!" 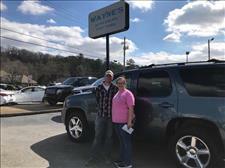 "We had a wonderful experience at Wayne's Auto. I got my QX56! The staff was great friendly but most of all knowledgeable and honest. Thanks Don Wood and Mr.Wayne!" "I recommend Wayne's because of the great customer service. No pressure at all purchasing my vehicle. Thank You Christy." 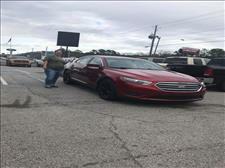 "My experience with Wayne's Auto has been excellent service. 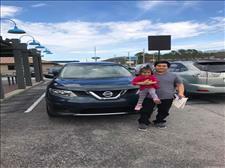 I came in not really knowing what I wanted and Mr. Ernie helped me find a car that's within my price range and that I can trust that I made the right decision in my choosing today." 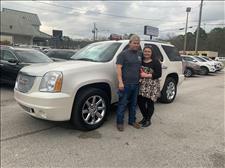 "thank you Wayne's auto sales! I am especially thankful for Don. You've made this experience less of a headache. Your staff are very warm and welcoming. 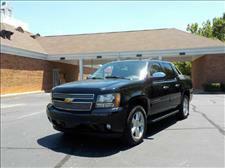 I am glad I made the decision to come here in search of my new vehicle." 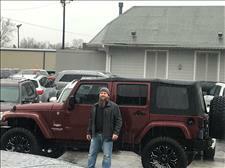 "Cristina did an amazing sell, a Jeep Wrangler 2007. I would send everyone I know to her." "I will first like to thank Mr. Wayne and his staff for their friendly hospitality. I love this car lot already good first impression. I'm more than honored to e a customer of Wayne's. I will make sure I stay prayed up and work hard as I can to complete my part of the deal. So I wanna thank Mr. Wayne , Mr. Ernie and all the staff for their great business. 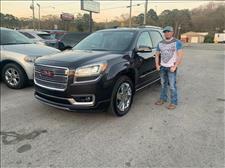 "Went into Wayne's Auto Sales met sales manager Don Wood who blessed me with a beautiful 2011 Acadia"
"I would highly recommend Wayne's Auto Sales for the purchase of a good, clean used vehicle. 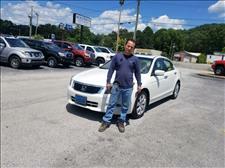 My salesperson was Don Wood and his professionalism and communication could not have been better. Actually we communicated and came to negotiated price via text message. Always got an immediate reply. Check out their great selection!" 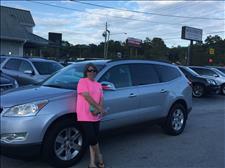 "Mrs. Christi was my sales representative and she was very charismatic. I am very pleased with the serviced that i received today. She made all of my wishes come true. I am truly satisfied! Much Thanks!" 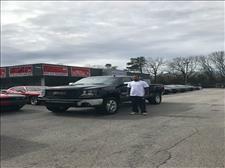 "Today 3-14-19 was an awesome day, I came in and talked with Mrs. Christi and test drove a 2012 Dodge Ram. Went home for the down payment, Mrs. Christi went above and beyond the call of duty, spoke with Mr. Wayne personally to get me into my vehicle of choice. I really appreciate the service and would not change a thing. come and get these cars while their hot!" "Wasn't sure what I wanted but hey, why not they worked out a great deal and I'm glad i'm back rolling again." 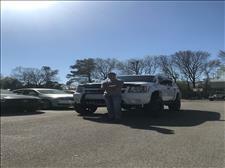 "Exelente servicio, muy buenos carros, muy buena atencion del vendedor y todos en el dealer!" 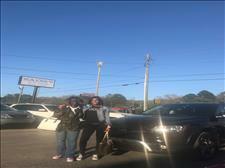 "Today was a great day to buy a car and i came to the right place, great service, friendly people and i am very happy. Thanks!" "My overall experience was good, quick and easy. Nothing difficult, very understanding nice people, greeting smiles and positive energy!" 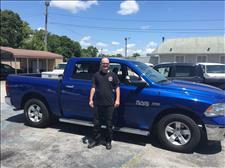 "Don Wood, very solid salesman I came to view the vehicle and he was nothing but professional. I left deposit and returned a week later with my spouse to pick up and also meet Wayne himself. Outstanding group of honest and straight forward also military friendly!" "Don handled everything quickly and effectively. Beat trade in value by a lot. Best deal I have made in a while. Thanks to Wayne's!" "Hemos tenido un buen servicio ya les hemos comprado varios carros y an sido magnificos los trabajadores y los dueñoos. Gracias Wayne's por sus amabilidades!" "I have completed my sale at Wayne's, very easy & super simple . Very pleasant environment & great people." 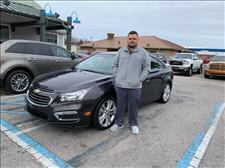 "My experience was Awesome with Huston, he has a great customer service and I want to appreciate him so much." "The service at Wayne's auto sale is great. I recommend them to anyone who is looking to buy a dependable car.  "Cristina Ross was my customer service rep today! She did an outstanding job with helping me pick my vehicle. She was very patient with me as well. 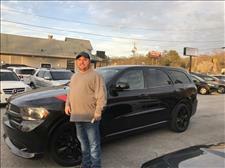 I am very glad that I chose to purchase a vehicle from Wayne's Auto!" "They were very helpful when we first got here, and were very helpful through the buying process! Thank you Don Wood and Wayne's Auto Sales! "My experience was absolutely incredible. The people here are very nice and the process was quick and easy." "Easy Group! Super nice! Amazing job!" 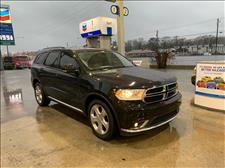 "My experience at Wayne's Auto has been excellent! Everyone was nice and they treated me very well. I will be back and recommend to anyone and everyone!" "Cristi helped me today. The staff was great and very helpful!" "Wayne's Auto Sales is the best place to buy a car." "My experience today has been very pleasant, They staff have been kind and helpful!" "Customer service was very professional, fast and friendly. Thanks, Ernie"
"Dan muy buen servicio, tienen un servicio amigable y muy eficiente. El personal que me atendio, ademas cuentan con un servicio en mi idioma. Exelente atencion gracias Cristina y Liisbeth!" "This was Heaven sent. Ernie helped me get the perfect vehicle for myself and children. I literally was told no at four other dealerships. Wayne's said yes. Thank God! Ernie and the crew are awesome!" 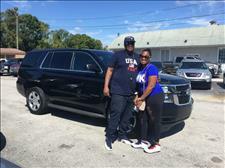 "Great customer service and very nice, clean and affordable cars. Would recommend anyone to come here, Thanks!" 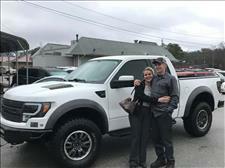 "I loved my service and they put me in my dream truck!" "There is one thing I can say about Wayne's Auto dealer, they will treat you like if you are part of the Wayne's family. Come see them and ask for Don Wood tell him that Benjamin Z. Sent you! "My experience at Wayne's Auto was great, great customer service and very understanding!" "Very Friendly, love the place. Es Bueno el lugar y buen trato." "What a great experience . Very helpful and polite, fast and friendly." "Great place to buy a vehicle! Found the vehicle I had my heart set on and was able to purchase it with ease. Worked with Mr. Don Wood. I Highly recommend buying a vehicle here." "I had a great time. Mr. Don Wood took care of me and did a great job." "Best car buying EVER! 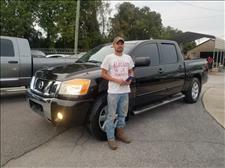 Very fast and knowledgeable of inventory!" "Great experience, no hassle, just easy!" 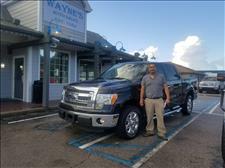 "We have purchased several vehicles from Wayne's over the years. Everyone is always helpful and courteous , we will definitely be back for all our feature car needs. We love the fast and easy service we always receive"
"We love Wayne's Auto Sales, we've been customers for several years now, we have purchased seven vehicles with them. We have had the best experience, they have great customer service. They have the best staff, most important our vehicles are great! They run great! we love Wayne's Auto Sales!" "Ernie was so great to work with! 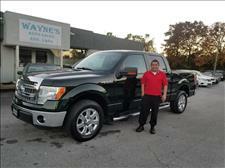 Our process with Wayne'd purchasing a truck was smooth and seamless. We will be back!" "I just want to thank Matt for all of his help today! If it wasn't for him we would not have been able to do trade our SUV for the Tundra, I know my husband will be very pleased! Thank you so much!" "Ernie was so great to work with! 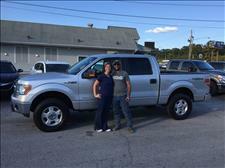 Our process with Wayne's purchasing a truck was smooth and seamless. We will be back!" "Realmente recomendamos a Waynes Auto Sale somos clientes de 16 años y los carros excelente, el personal siempre atienden con amabilidad. Gracias!" 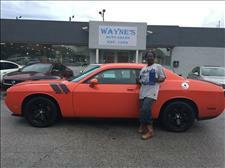 "Wayne's is absolutely the best car dealership I've ever purchased from. Customer service is wonderful and Ernie is the best salesman! I will definitely continue to purchase from Wayne's!" "I Tamichael Smith was handled with the upmost care. They worked with me on the Down Payment, And they are the most friendly people you will meet." "I have had the pleasure to receive outstanding-customer service from everybody here at Wayne's Auto! I highly recommend them as the top #1 place to buy a used car! Thank you, Wayne's Auto! "Fast,Easy, Very helpful. Was in our new car very quick. Thanks for all you do!" "Cristi was my salesperson. I am a repeat customer--Great service--very easy to work with." "100% satisfied. I wouldn't change anything but what time we arrived, cars are great, very wide selection of vehicles. 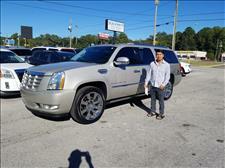 Very reasonable, our saleswoman Cristi, she was very respectful and helpful. Mrs. Cristi answered all of our questions and made us feel at ease as long as helping every step of the way. I highly recommend and will be back. Great service!" 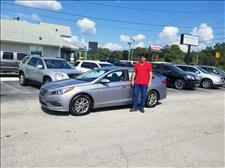 "Truly great service, Cristi was a great help. Will be purchasing vehicles in the future." "Awesome place to get a vehicle. 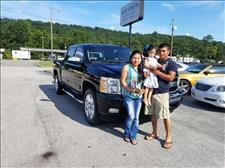 They were very helpful and understanding of my needs." 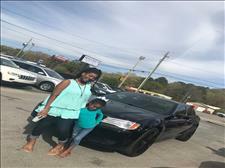 "I has wonderful experience with Waynes auto. The staff went over and beyond to help me find a good car. They made me feel like part of the family at Waynes. 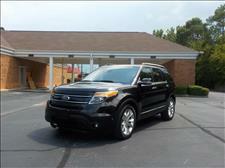 i would recommend them to anyone looking for dependable transportation." "Everyone was nice!! The service was great and fast!! The purchase was great !! "Great experience and easy processing." 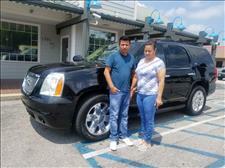 "Mrs. Cristi has helped my family buy two cars from Waynes. Today was exceptionally great because I came in with my husband and the entire day was fast, fun and friendly. Please to not change, love the service, love the people. We love Waynes Auto! 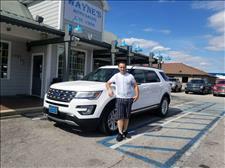 Thanks"
"I loved my experience a Waynes Auto Sale. I love the employee they were very helpful, I would purchase another vehicle here. I would love for people to come out and visit Waynes Auto Sale. The people are amazing!" "Very good, I love the service." 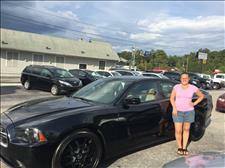 "I have had a wonderful experience here at Wayne's Auto Sales. They are very professional. Ernie is the man to see." "Car buying made easy!! Friendly & fast service. Hassle free." 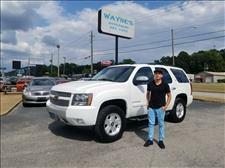 "I loved my experience with Wayne's Auto Sales. 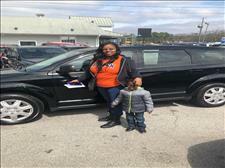 The salesmen are great and they have great customer service." "I loved the service. 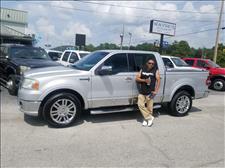 My salesman Ernie was Awesome!" "By far the best car dealership ever! Sale people are outstanding." 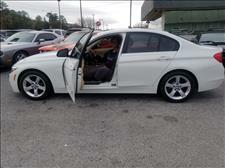 "I had a very great experience purchasing my 2011 BMW 328I Wayne's Auto Sales." 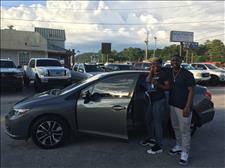 "I had a great experience at Wayne's Auto and Mr. Ernie is a great salesman. I will refer everyone to y'all." 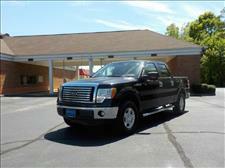 "Great place, bought 2 vehicles this week. We were taken care of, and the customer service was great." " My visit today at Wayne's was a very pleasant one. Don and Christy were more than helpful. They made sure I found exactly what I wanted. I will definitely be back for a second vehicle and I'll send some customers to purchase a vehicle from you guys." "My experience was awesome. We were in and out in no time and everyone was so very nice and helpful. Every minute of out time spent there was well worth it. I will refer anyone there for a car." 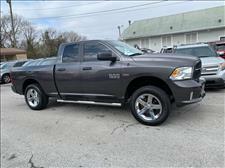 and the vehicle I picked it's my first vehicle form Wayne's but it won't be my last." 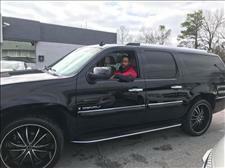 "Mr. Wayne really took care of me today and his crew, they understood what I was looking for and helped me get the suv I wanted. I will refer them to all my friends." " Service was great. There were several people offering to help. The vehicles were of good quality. Everyone was very friendly." with her help! We will be back for more business in the future. Awesome Staff!!" "My visit today was very good. I got great help and a great deal. Very nice people to work with. Will recommend Christi." "Great and friendly service, loved the place." "Waynes is amazing and definitely will come back for more business"
Thanks to Mr. Don Wood for his wonderful customer service. 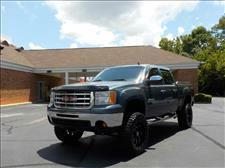 I am driving off in a lovely GMC truck from Waynes Auto Sales today! I would recommend to whomever is looking for a great customer service to come to Waynes Auto Sales and speak with Mr.Don. Top notch vehicles!!! 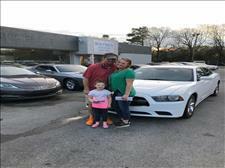 "My husband and I had a great experience here at Wayne's Auto Sales. All the staff were very knowledge and understanding. 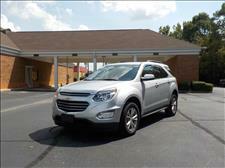 I would like to thank Paul and Don for everything they have done for us in getting our vehicle." "Good, Great, Nice attitude, and Helpful!" "It was very well and understanding ." 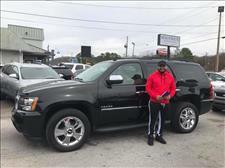 " I came in wanting an suv , didn't know what I really wanted but Mr. Don really took care of me and I'm truly a happy customer." 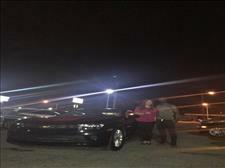 "I totaled my vehicle that I purchased from Waynes Auto. I had a great experience with purchasing their insurance. I highly recommend everybody to try it." 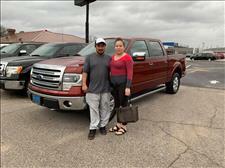 "Waynes Auto Sales helped me and my husbands family vehicle and was 100% willing to work with us. Wouldn't mind sending people here! Well recommended!" "My experience was wonderful. 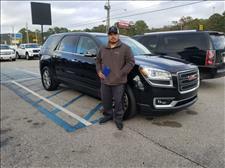 Cristi was very helpful and was able to put me in the price range that I wanted and was able to put me in a reliable vehicle suitable for my boys and I." 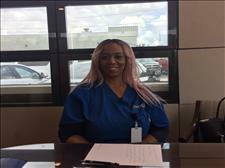 "I came to the lot just to look and the friendly staff greeted me right away. My heart stopped as soon as i saw my truck . 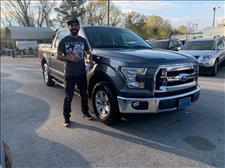 The salesman helped me on the down payment and also was friendly the entire time as i made up my mind while the entire time had my heart set on my truck." "La experiencia de la compra fue muy grata el trato con el vendedor y fue muy claro y de mucha ayuda, los vehiculos cuentan con mucha calidad y limpieza. Definitivamente si recomendaria a esta agencia"
"Absolutely fabulous experience. One stop. Got what we wanted. Treated like we were the biggest clients. We will definitely be back." "Love everything about Waynes. Easy, convenient quality cars. Christina is great!" 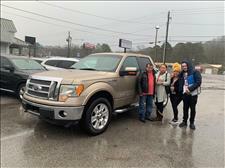 "Came out on 2.16.19 saw an 09 F150 that we really liked, an hour or so later we were finally told that the mechanic had the key. Came back on 2.18 just to look it over cristi came out, got us the key and let us test drive it. Came back on 2.19 to buy it!" "Vine solo a mirar los autos y termine llevandome la camioneta de mis sueños. Increible servicio y trato de Jr, gran vendedor!" "'Cristina was great. From the 1st call to the paperwork. Everyone we encountered was friendly and personable. Hands down best car buying experience." Overall, the experience was easy, quick and the staff was very helpful with the process. They even offered cpi insurance that would the cost of full coverage not be so painful or stressful." 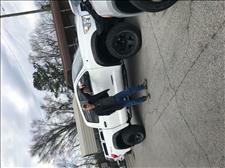 "Bought an awesome lifted Tundra from Wayne's. They worked with my requests and made me feel appreciated and valued. I recommend Wayne's Auto Sales." "Christi and Don are great"
"Service is great here. They treat you like family and do their best to work with you any way they can. Will come back again and send all my friends that I can here. 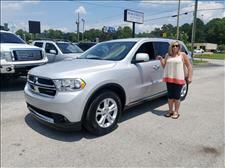 "I've enjoyed being here with Wayne Auto Sales and staff. Everyone is so kind and friendly. I will never buy any cars except from Wayne Auto Sales. They have made my day. This was my second purchase in 7 months. I will be back next year for my third. Love you guys!" 'The service was great. Wonderful people to work with." "We love Waynes! I hate going to a regular dealership, you waste your whole day haggling and paperwork. At Wayne's there is none of that. You go in, pick the car you like, and you are in and out in no time. I highly recommend Waynes to anyone who doesn't like dealing with the traditional dealers/salesman. Christi is very straight forward and great to work with." "I was treated very good, and quickly in and out. I saw the truck yesterday and told them that i would be able to pick it up tomorrow. I called ahead of me getting there and was ready to walk in and out." 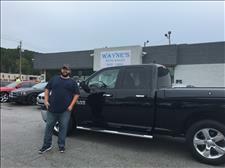 "I enjoyed my experience here today at Waynes Auto Sales. Definitely loved doing business here"
"My service and experience here was great! Christi was very nice and professional with us. 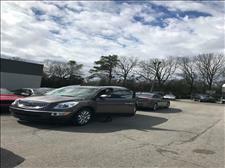 I would definitely refer someone to buy a car from here"
"After several calls and visits to multiple dealerships throughout the tri county area, my husband and I visited the website of Wayne's Auto Sales. We made a phone call and spoke with a representative who made our purchase possibility seem easy. We decided to visit and spoke with Ernie who was absoluteness amazing. 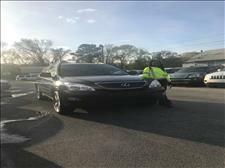 He was professional, genuinely concerned for our best interest as buyers and in less than 1 hour he had all of the documentation for the car we chose ready to sign. 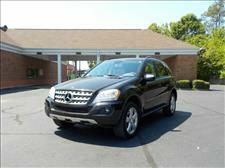 I would strongly suggest anyone seeking to purchase a vehicle to start with Wayne's Auto Sales. You wont need to look any further. " 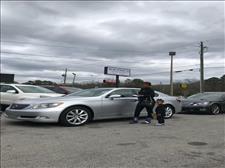 "We received continuous and professional service while car shopping at Wayne's. Don was very helpful and went out of his way to bring our deal together. We look forward to continued car deals in the future." "Ami consta que me atendieron muy bien y todos los vehiculos son muy Buenos los recomiendo a vengan a visitarlos." 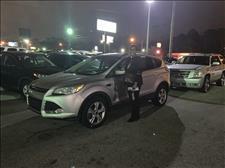 "Awesome customer service Christy was awesome and super helpful! Thank you for always going above to make it work!" "Excelente compra de carros, muy Buenos en los detalles. Atienden muy amablemente." "I had a great experience. everyone was so helpful." "Junior nos atendio muy bien, fue muy amable y nos brindo un exelente servicio. Muchas gracias Waynes!" 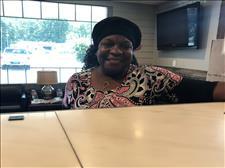 "I've been dealing with Waynes for a while and I can truly say that I would not want to purchase a car from any where else.The service here is amazing. they treat you with outstanding customer service every one here is amazing. I love the great people here there always smiling, they greet you and always make sure your taken care of! Thanks Ernie"
"Son muy buenas personas y nos atendieron muy bien." 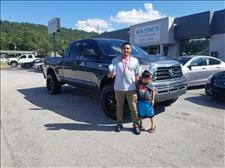 "Muy feliz con el servicio"
"I had an awesome experience here at Waynes Auto! Left with great care"
"Estoy agradecido por el buen trato y por poder hacer negocio con ustedes. Gracias por todo"
"I love Waynes auto. They made the car buying process easy. They put me in an amazing car at an amazing price. I will always shop with them. They have a customer for life. Most amazing experience!" 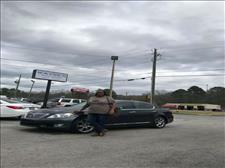 WAYNES AUTO SALES - 2019 . . STARTING OFF THE TAX SEASON RIGHT, 5 LAYAWAYS IN ONE DAY. DON'T WAIT UNTIL YOUR TAX REFUND, COME PUT THE CAR OF YOUR DREAMS ON LAYAWAY TODAY. 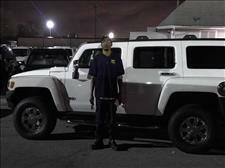 "I highly recommend Waynes auto to anyone. Great people to buy from, will work with you on anything. Friendly staff and great prices. I have bought 3 from them. Thank you Christi and Brent, Mr.Wayne for your great hospitality. 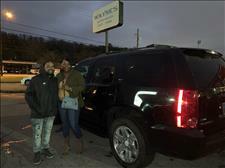 Thank you Arnetta, Johnny"
"My family came to Wayne's thinking we would not be able to get a car. Mrs.Christi was so kind and helpful. She assured us she could get us in a car. It was a painless, pleasant experience. 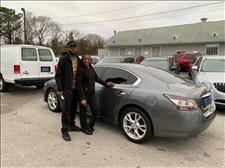 I just bought my second car from Mrs.Christi today and will never go anywhere else." 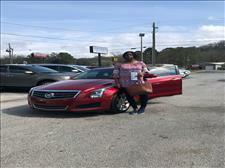 "My service was awesome Mrs. Christina was great very helpful to my needs. 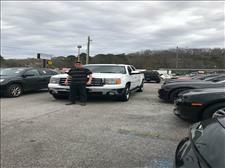 Waynes Auto Sales will help you in your in time of need." "What a wonderful experience. 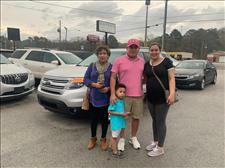 everyone was super helpful and patient with me during my shopping"
"i Maxine Purnell would love to say Waynes Auto Sales is a great place to purchase a car no credit need and they have really nice cars and they're business is awesome"
"por este medio recomiendo a Wayne's Auto Sales por su excelente service y coridal atencion." "Mi segunda vez comprando carro aca son muy amables, excelente equipo. Voy a recomendar a mas personas. Jr. atiende super bien." "I has an have had in the past the most wonderful experience at Waynes. Christi and Brent helped me today, they are the sweetest and kindest people and today it felt like they where my angels. They were concerned about my children well being also their safety. I have never seen a dealer that was so genuinely concerned. God bless these people and this whole facility for being who they are!" "I love working with your employees they always take great care of me. 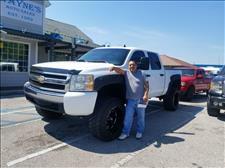 Love you guys"
"Ernie at Waynes Auto Sales went completely out of the way to help me. The most amazing group of people I've ever done business with"
"El servicio estuvo ,muy Bueno, todo te lo explican muy bien, te asen muy facil el tramite y muy amable el servicio al cliente. Los carros los tienen muy limpios, mi calificasion es 100! " "Service was great. Will buy again." 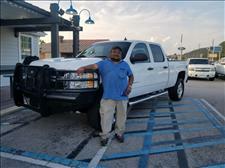 " Had a great experience with Mr. Huston and Yanet came in and finished the job with CPI. I will most definitely refer people and also will be making another visit soon." 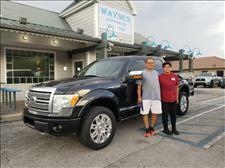 "Gracias por su trabajo muy amable todo'"
"Great experience buying a car at Wayne's Auto on 31. Christi was great. Customer service was great. 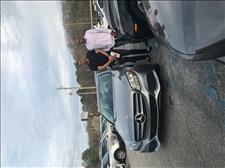 I recommend anyone buying a car to check them out." "Wonderful and helpful! Always a pleasure dealing with Waynes auto!" "Christy has been a Joy to deal with. Will be glad to send and highly recommend to friends and family." 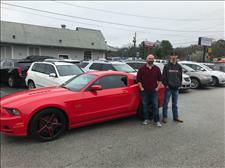 "Waynes Auto has always been very helpful from helping with my purchase to working with me on payments. 5 star service!" "The service was outstanding. They had exactly what I was looking for. Mrs. Christi is very knowledgeable of her work. She made the transaction very easy. I would recommend to my friends. Thank you!! 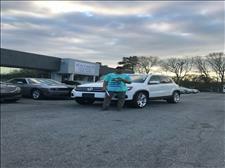 Waynes Auto Sales"
"I have had a great time today. The workers were very nice and they really helped my family make a good decision. 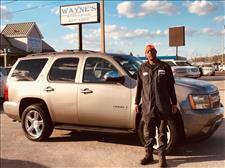 I recommend Wayne's Auto Sales to everyone." "El servicio fue excellente , nos ofrecieron de tomar y comer, el senor Junior fue excelente y professional en todo aspecto. Nos explico todo bien, parte por parte y nos contest todas nuestras preguntas. Muy buen servicio gracias Junior." "Fastest,easiest buying experience i can remember"
"All Good! Christina was great." "I was very pleased with the staff at Wayne's." "I love the way I've been treated at Wayne's Auto Sales. I could not get a car anywhere and I walked on the lot Ernie told me I could get a car. 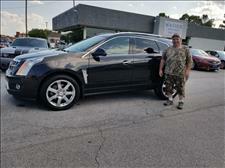 I bought a Cadillac Srx . I've been treated fairly and the service here is awesome. Christy has helped me and my family she goes the extra mile. 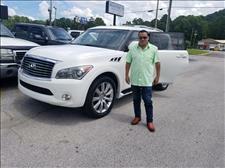 Thank God for Wayne's auto and staff"
"Muy bien atendidos por Yunior, gracias muy amable." 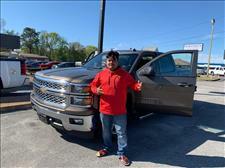 "The warm welcome of purchasing my Chevy Silverado was amazing. Each member of staff was very polite and helpful. They fully explained every detail in full. I will be making other future purchases with Wayne's Auto. 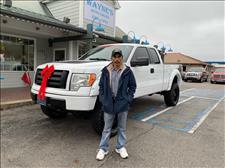 Thanks Wayne's Auto for making my Christmas gift to myself a easy and great experience. " 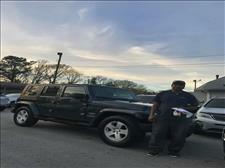 "My husband and I stopped by Wayne's Auto Sales, very friendly staff, very professional, I was driving tp Birmingham and saw the billboard in the interstate and told my husband that we needed to stop by there and I am glad I we did, because we just bought a Jeep Wrangler something we were looking for. " about everything. I would most definitely recommend Wayne's Auto Sales." 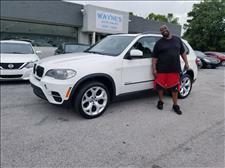 "Wayne's Auto Sales was very helpful. I worked with Mr. Wayne and he is very humble as well as the employees. This was my second time visiting this dealership and I am very pleased with the improvement. The employees are super nice. They made sure I was comfortable with the vehicle I was purchasing. The teamwork here is amazing. I am excited to go on this journey in my new car." 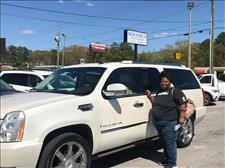 "I had a great experience me the staff of Wayne's Auto Sale. Jon and Brent gave a lot of information on their cars. I must say that it was a great pleasure to have met them both." " Muy agradecida con su ayudaen poder darme la oportunidad de darme el carro que me gusto. Muy amables, muy bien el servicio. El trato y sobre todo, la espera y la ayuda para el down, muchas gracias. Se lo agradesco mucho de verdad. Les deceo una Feliz Navidad y prospero Ano Nuevo "
"muy bien, me fui muy contento con mi troconona, muchas gracias"
"Muy atento el personal, te explican muy bien y te dan buen servisio." 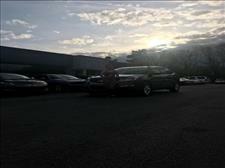 "Waynes Auto is a wonderful place to do business. I have done business with them on more than i occassion. They have very great customer service." 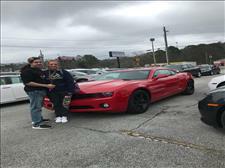 "I like everything about Wayne's Auto, customer service was good no complaints. I will recommend customers. I like my experience at Wayne's Auto Sales." "le recomiendo Waynes Auto Sales son muy bueno vendedores"
"El servicio fue muy bueno el senor Ernie, fue amable y nos ayudo con todo y los precios. Tuvo paciencia con nosotros y nos explico las cosas muy bien. Nos ayudo en lo que necesitamos y nos trato muy bien." "quede ampliamente satisfecho del buen trato y servicio que me atendieron muy bien y sobre todo espero tener major satisfaccion por la major atencion.Muchas Gracias y les deceo una muy feliz navidad y un prospero ano nuevo"
" CPC insurance is amazing and Christie worked very hard for me. 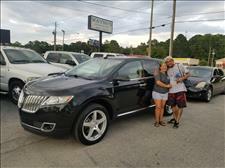 Thank you"
"We returned to Wayne's Auto Sales to buy our second vehicle. Wayne's staff is easy to deal with. There's no hassle and didn't have any pressure to buy. like the other dealer we started with. We love the inviting, laid back experience." "Muy bien servicio me encanto el trato y sobre todo me aprobaron el credito. 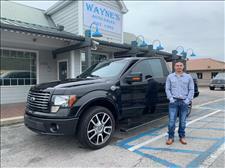 Me encanto y estoy muy agradecido con Wayne's Auto Sales"
"The experience here at Wayne's has been nothing short of amazing! Staff is great, Staff is great, and easy to work with!" "There was great customer service and a very enjoyable company. The employees are lovable, I love Wayne's Auto. 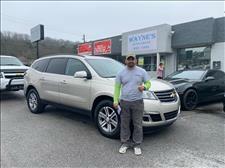 "I have purchased two autobiles from Wayne's Auto Sales. 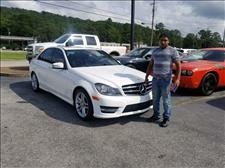 The staff is very helpful and the quality of the cars ive gotten are great. Would recommend!" 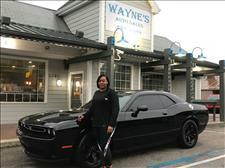 " Me gustaron mucho los carros y las trocas"
"We had a great experience with Waynes. 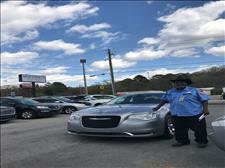 "Este es mi Segundo vehiculo que compro con Wayne's Auto Sales y estoy muy satisfecho con su servicio y amabilidad." Tratan muy bien a la gente y te atienden con mucha paciensa vengan se los recomiendo! 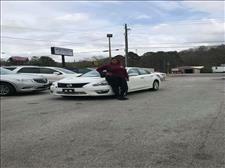 I've been a customer of Wayne's Auto Sales for a long time and knowing the sale people and the owner I can not stop talking about Mr.Wayne and his People at the car lot. They have been so nice to me and they make me feel at home, always give you food when they are working your paper work. I myself will not shop at no other car lot but Wayne's auto Sales. Thank you Mr.Earnest and Mr.Wayne for helping me in my time of need. "Amazing teamwork. 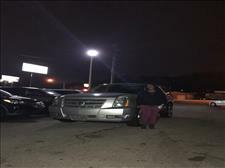 The guy up front was very understanding of what I wanted and was working to please my pickiness"
"i was treated real well by everyone, Yes i will buy from here anytime love the folks at Wayne's Auto Sales"
'Absoloutley the best experience that I have ever had at a car dealership. Ernie and Christina made sure that it was a priority!" "Me atendieron muy bien son muy amables"
"I stopped in today to look at a Jeep Wrangler on the 1st. Ms.Christina worked her magic and I was able to purchase the same day. Everyone is very helful and knowledgeable. Superb! Christina, Brent and Mr. Wayne are awesome. Higley recommend to anyone I meet. I will be doing business here for as long , as they are in business!!! Hint I need the IS250 or a V8 Camaro, LOL. I wouldn't trade with anyone else, y'all go above and beyond to make sure we are happy! I fell in love with Wayne's as soon as we walked in the door. They have great inventory & Ernie has an amazing customer service. I will send everyone I know looking for a vehicle to Wayne's. We actually are buying my husband a 4Runner a week from purchasing my vehicle. This experience was amazing! I met Ernie first when I bought my wife's car. I was so impressed with the respect we were given. The deal was Amazing and very fair. 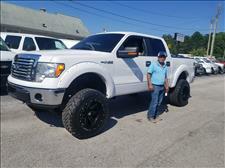 Vehicles look excellent and the prices were Better!! We are a happy couple with 2 beautiful cars. Me gusto mucho el trato, Buenos carros. La verdad muy bien todo. 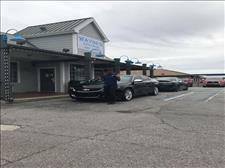 "Never been treated any better at any car lot or place of business Proud to be a customer"
"My experience at Wayne's Auto Sales has been superb! I love the idea of "lay-a-way". It helps when i know exactly what to expect and still get a great deal!" 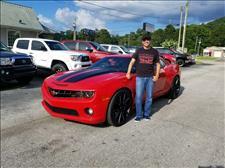 "I enjoyed my dealing with Wayne Auto Sales. Good people to deal with." El trato fue muy Bueno, se los recomiendo, me gusto mucho mi nuevo vehiculo. Me llevo una Buena imprecion el service. Me parecio muy Bueno. Te explican las cosas a detalle. Eso fue lo que mas me gusto. 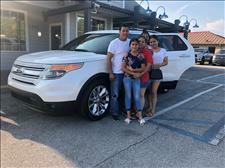 "Mi vicita en Waynes fue muy agradable el vendedor fue muy rapido y eficiente recomendaremos este lugar"
"Super nice and helpful would recommend anybody looking for a vehicle to come visit. I really appreciated all of the help." 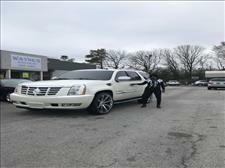 "Waynes Auto is a good placw to do business with. They will work with you on your payments"
"El servicio prestado por Juan Carlos ha sido muy bueno ya que nos mostro varias opciones para el beneficio nuestro! Muy bien Servicio! 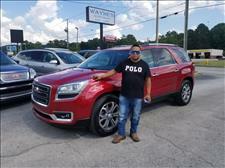 Gracias Juan Carlos "Guero"
"Todo muy bien, soy cliente por 22 anos y estoy contento gracias"
Service was excelent. They have great people here. La troca que estoy llevandome parse bien y el trato excelente, muchas gracias. Bueno servicio , son ambles vengan a comprar. Aqui en el diler nos atienden bien sin tantos requicitos. Mr. Ernie was very informative and very nice as a sales person. He helped us to the best of his abilites and he made us a repeat customer. We got off on the wrong foot yesterday, but he kept his cool and we very satisfied with our purchase. Ademas de contar con excelentes vehiculos , la atencion al cliente fue inigulable, contando con personal de excelencia,conocimiento. Mi compra fue un verdadero placer. I recommend this dealer for good deals on the cars and trucks. 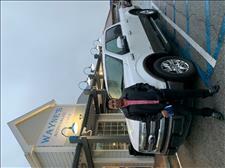 I had a great experience at Wayne's Auto Sales. Very friendly staff and quite professional. I would definitely recommend anyone looking for a vehicle to buy from here. Came in to talk to Wayne he was very easy to talk to and deal with. Wayne is a very good Christian man. We will deal again with him. Everyone is very friendly and knows their inventory very well. Great staff, awesome experience, will buy again. Yo describe como un excelente servicio y Jr un excelente trabajador. Los recomiendo visitenlos. Excelente servicio, muy buenos vehiculos y buen personal, te atienden como uno se lo merece 100% recomendado. Me atendieron muy bien. Tienen Buenos autos. Se los recomiendo. It was great, no pressure time here at Wayne's Auto. Muy Bueno el trato y trantan bien a las personas. I went to Waynes just to look at some options and I ended up with way more than I expected. Thank you for making my dream become true. Best dealership I've ever dealt. They make everything simple. As a returning customer , I can't wait to refer my family and friends to Wayne's Auto Sales. I had the best experience with Christina. she helped me narrow my options and made everything simple and less complicated than any other lot I had been too over the week. I will definitely be back. 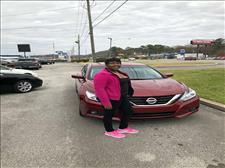 The service with Mrs.Christina was great she was a great help, took time out to help pick the right vehicle that was in my budget. She was nice and respectful. Mr.Ernie was helpful as well. I hope i enjoy my vehicle that I purchased from you guys. Thanks and will sent service to you guys. This wasn't our first experience with Wayne's Auto Sales. We are return customers and will continue to come here for any future purchases. Christie was awesome during our buying experience! We appreciate the friendly faces and great customer service!! A mi en lo personal me gusta mucho comprar aqui porque te atienden bien y son carros muy Buenos excelente el personal gracias. 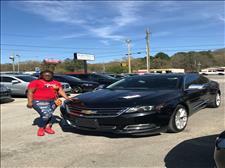 My experience with Wayne Auto Sales was fast, friendly and very helpful. All of my questions were answered swiftly. Wayne's Auto has great customer service. Also has a great car selections that I know of. Christina is a great sales person that's willing to help. Wayne's Auto is the best car lot around town. Me parecio bien porque me atendieron excelente. El trato de este diler es Bueno, muy buen diler. Son Buenos personas, Jr es un buen vendedory las recepcionistas son muy hamables. Creo que fue conveniente llegar hasta aqui para poder tener un vehiculo lo Bueno que te atienden en tu idioma y tube una Buena experienza, gracias pir su ayuda y espero yo Tambien convenserlos sin mas nada que decir les deseo los mejor espero no fallarles. Dios los bendiga para siempre. We bought our third vehicle today. We've only had great experiences here! Thanks to Christina we are satisfied customers again. She goes above and beyond for us every time. As a family of 7 transportation is a must have and she made sure we were mobile again. Hold on this one, she's the best. was amazing.I would highly recommend Wayne's to anyone. Let me not forget Christy she was eager to help in anyway. Mas de 10 anos comprando carros y siempre tienen el tiempo para atender y tienes muchas facilidades de pagos. Siempre soy bien atendido cada vez que compro aqui, son muy amables los trabajadores lo recomiendo para todos aquellos que quierean comprar un nuevo vehiculo. Se los recomiendo, tienen Bueno servicio. I would like to say that Mrs. Christie is the best. She has went above and beyond for my husband and I. When I am in the market for a new car, she makes want to come back to Wayne's Auto Sales. Great people willing to work with you anyway they can. Ernie was fantastic. In and out in under and hour ! El servicio que me brindaron fue muy Bueno. El Sr. Junior nos trato muy cordial y servicial. Gracias por su ayuda. My experience with Wayne's is been nice and friendly staff. Wayne's auto sales is an easy financing dealer. They are there when you need a car. I would recommend Wayne's Auto Sales. Pues la verdad me gusta el trato que le dan a uno, la verda no los cambio jijiji para todo son bien asessibles. La verda me esperan con mis pagos y la verdad estoy muy contenta y tengo muchos anos de ser cliente, muy agradecida la verdad. 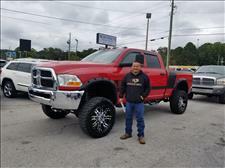 I have had good experience with Wayne's Auto Sales in the past and present. Wayne's has been such a great experience. We never felt pushed or shoved into a decision as other sales and dealerships make you feel. It was a very easy process and everyone was nice. Para mi fue un exelente servicio y me gusto que me allan atendido muy bien son muy amables, gracias. I have been a customer for over 20 years and we have had a great experience through out all the years. Great friendly service, great deals and fair prices. Muy buen trato y muy buen servicio. My time at Wayne's Auto was convenient and they worked with me. Very good and competitive sales people. Very honest company to work with, have some of the best automobiles with the very best deals. El personal de ventas de Wayne's Auto Sales me parecio muy hamble y cordial. Te atienden y te explican todo bien. Si tienes alguna pregunta aserca del vehiculo o camioneta ellos te explican. Yo se los recomiendo. Me gusto el trato que me dieron buenas personas. Buenos precios y fasilidades de pago y la gente muy amable. Es un buen servicio. No te iran como un cliente si no como un amigo, se los recomiendo. Wonderful experience with this company. Ernie, very helpful & honest. We will be back for our next car. Muy buen Servicio, siempre compro mis vehiculos de aqui ! Me parecio muy bien el trato. Los precios son muy Buenos y Tambien los vehiculos. El servicio de Wayne's Auto Sales estuvo bien. El personal que nos atendio muy amables. We are a repeat customer here at Wayne's. Always treated with the upmost respect and never feel pressured to buy. The staff at Wayne's are very hospitable and upfront. thanks again (2nd time) for a easy and wonderful car buying experience. My experience with Wayne's has been good they have done a great job in helping me and my family out of tight situations. We are blessed to do business with them. The service was great. My family has been getting cars at Wayne's Auto Sales ever since I was a little boy. The cars/trucks have always been amazing. Best service in Alabama. Muy bien, exelente trato se los recomiendo. Buenas facilidades para todo! Buena atencion al cliente, muchas facilidades al comprar un vehiculo. La tolerancia te esperanun poco si te atrasas. I have been doing business with Wayne's Auto Sales for nearly 18 years, over the years the company has treated me with respect and like part of the family. I will continue to do business with Wayne's Auto Sales. When it comes to customer service they should get 10 stars instead of 5. Christy and Ernie greeted me with kindness and show a caring attitude about my situation and I would recommend Wayne's Auto Sales above any other car dealership. Siempre el servicio es excelente, con este son 2 carros que compramos en este lugar y 100% se los recomendamos mi esposo y yo. Muchas gracias en especial al joven Junior que siempre nos atiende con muy Buena actitud. Nuestra experiencia fue grata y satisfactoria, ya que nos atendieron muy bien con paciencia y fueron flexibles a nuestros acuerdos que les propusimos. Exelente servicio se los recomiendo! I been coming to Wayne's for about 9-10 months looking for a car and this year I finally said "I am goin to do it." 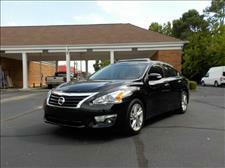 Mr. Wayne, Mr. Ernie and the staff made car buying very easy ad fast. My experience with the company as a whole was amazing. Este establecimiento tiene buen servicio. Brindando confianza y amabilidad. 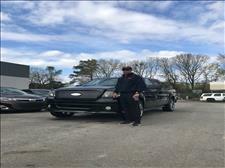 Estoy satisfecho con Wayne's Auto Sales su servicio y su atencion al cliente es Buena, tanto sus empleados como los duenos son muy atentos, Los recomiendo. So far I've bought two trucks from this dealership. Great people to work with. I will definitely be back to purchase something else. Thanks for being so kind. Muy buen servicio, se los recomiendo! Buen trato al cliente, se Brinda la informacion necesaria para creditos de autos. Great customer service, goes above and beyond with no hassle at all. Takes their time and helps you find the perfect vehicle within your budget. I would definitely recommend their services to anyone looking for a vehicle. Yo, certifico que en Wayne's Auto Sales recibi un exelente trato por el personal. Quede muy satisfecho con su servicio. Me and my husband have been coming to Wayne's for many years, the experience is always like family waiting with a smiling face and always ready to help in any way possible. We will never go anywhere else for a vehicle. Wayne's Auto Sales is "Simply the best" Thank yall for all you do, and for making us a part of the Wayne's family! Fantastic customer service. I will continue to be a customer. My wife is looking at the Equinox and Traverse. I had a great experience with Christina and the rest of the staff. Thank ya'll for working with me. I am a customer for a ;ong time to come, again thank you! El servicio sigue siendo excelente como la primera ves que optube mi primer auto ace 20 anos con el Sr. Wayne. Hoy despues de tanto tiempo como la primera ves me voy completamente satisfecho. 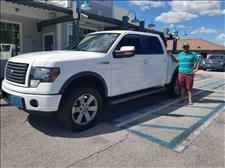 Gracias al vendedor Carlos Jr.
El servicio que recibimos fue exelente, la persona que nos atendio desde la primera vez que pasamos a ver los vehiculos fue muy atento y amable,nos ayudo y recomendo el vehiculoque compramos el dia de hoy, Gracias a Jr. I have had the best experience and customer service. 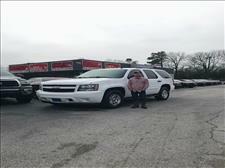 I have purchased 2 vehicles from Wayne's Auto and will continue to do business there. Every staff member makes you feel welcomed. Kudos to everyone at Wayne's Auto. my salesman Jr. has a great attitude and helps you look for what you're looking for. Les recomiendo venir a comprar aqui, este es mi 4to vehiculo con ellas el trato y el personal son muy ambables vengan. 100% recomendado, pregunte por el amigo Jr.
Yo tengo mas de 15 anos siendo cliente de Wayne's Auto Sales. El dueno y el personal que trabajan en el negocio son buenas personas y ademas tienen un Buen servisio que le dan a los clientes. Te tartan como un amigo no como un cliente. Eso esla experiencia que eh tenido. No mas una cosa cuando se abienten un compromiso ahi que cumplir! Me parece muy bien el trato que dan a los clients y la informacion Buena. I would like to say that Wayne's Auto Sales are the most nicest people I've dealt with. 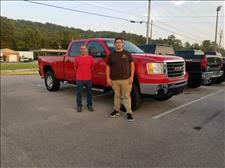 They help me out tremendously with my truck payments... it put a smile on my face and I thought this people are really good. I love the smiles I got upon entering the door. These are people who love people. I appreciate Wayne's Auto Sales. You guys saved my which helps me to pay for my house and food. Thank you so much for that, because my kids only have me to look too. Thank you, god bless you for your kindness to me and my family. 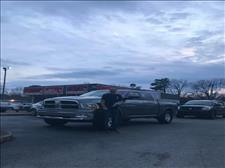 I am very grateful for having heard about Wayne's Auto Sales in Alabaster, AL. I've been a customer for over 5yrs and I'm very pleased with them and they are good people to do business with. They care about their customers! This was the smoothest & simplest car buying experience I have ever had in my life!! All personnel, including Wayne was super nice and welcoming. We will definitely be coming back again !! My name is Aletha Brantley! I feel so blessed today. After being told my credit was to low to purchase a car from other car lots, I said a prayer to my father asked him to send me to the car lot he has already ordained for me to get a car. Just as I said in the name of Jesus. My brother Keenoah Steveson called my phone. I told him I was looking to buy a car and he told me to come to Wayne's Auto Sales. The service was magnificent and I am now leaving with my new car. Mrs Christina was professional, and i'm glad she was here to help me out. I am very Happy with my new car. 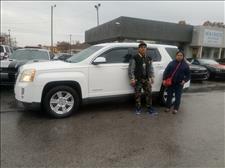 Thank You Lord and thank you Mrs. Christina and Wayne's Auto Sales. El servicio fue Bueno, muy amables y no son tan exigentes con el papeleo. Por mi parte el personal es excelente. la atencion al cliente es Buena. I do think that Wayne's Auto Sales is a great company to do business with they go the extra mile to take care of their customers. 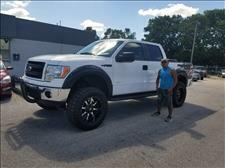 I have purchased my 3rd pick up truck from Wayne's. If I ever have any problem, they take care of it! Este es mi 6to vehiculo que compro aqui, el trato es muy bueno, Realmente se los recomiendo. Me tartan al 100% cada vez que vengo aqui. Quiero garantizar el servicio de Wayne's Auto Sales y amabilidad de sus empleados y buenos precios en los automoviles. El personal es muy amable y los carros muy limpios! 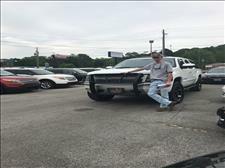 My experience at Wayne's Auto Sales has been the best, they are the best car dealership to deal with. We bought a truck from them in 2015 and now again in 2018 and so far every car we have bought has been great & clean. We will buy again in years to come. Came in on June 1, 2018 to buy a car. Mr. Ernie was a great salesman. Please keep him around he's the best!! 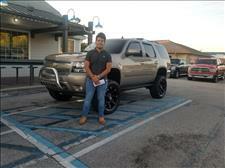 The salesman Jr did a great job, he explains the process very clear and makes it easy for us to decide. I came in they were helpful straight forward & honest. Told me to go pick out a car, I found one and did paperwork within an hour. I love this place and will never go any where else. 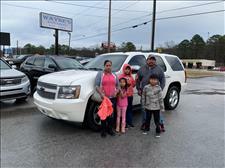 As a customer of Wayne's Auto Sales of 12 years my family and I have purchased over 10 vehicles. 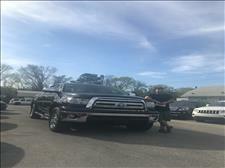 Wayne's Auto Sales is my place to go when I'm in need of a new truck or car, they have been great selection to choose from and the customer service that you get from the staff is on point from the time you pull in to the lot. The prices are reasonable and they're willing to work with you to make their customer happy. 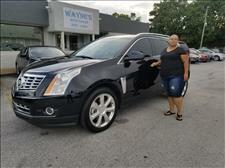 I recommend Wayne's Auto Sales highly, and ask for the salesperson Christy she is awesome. She will make sure that you have the right car or truck to fit your needs and if she doesn't have what you are looking for she will find it for you. Thanks Christy for all you do. Lets not forget Mr. Wayne, he took the time to sit down with us and workout a comfortable deal for us. what more could you ask for than to get a great deal from the owner himself. I highly recommend Wayne's Auto...They will treat you like family. Wayne is the owner and he's down to earth kind of guy and he treats everyone the same! I highly recommend his company to anyone needing a Great vehicle! We even have a warranty on our vehicle and we have been so happy with our purchase. We have been with Wayne's for over 6 years! Thank you Mr. Wayne. 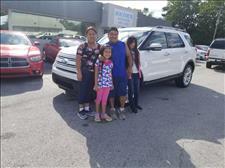 My family and I are so glad we chose you to help us with our purchase and your staff is GREAT! May God Bless you, your family and your business! 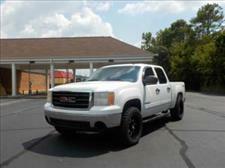 I bought a 2010 GMC truck from Wayne's Auto. I was in and out in less then an hour. All the staff was pleasant & helpful especially Christina! 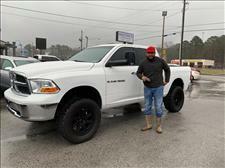 Very please with my new truck that came with a free warranty! 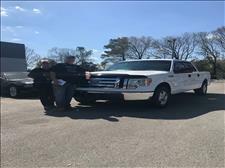 I would highly recommend Wayne's to anyone looking for a good used vehicle. The total price of my truck was well below all other trucks of the same year I looked at! 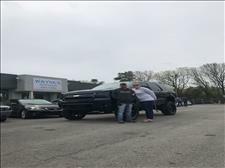 If you want a vehicle come to Wayne's Auto Sales you will get a great deal and you are treated like family, so if you are looking for a vehicle come on out and see the great people at Wayne's Auto Sales. I wouldn't go anywhere else! I am a very happy customer of Wayne's Auto Sales. The staff at Wayne's are friendly and understanding. I recommend them to anyone thats looking for a reliable vehicle. Wayne's Auto Sales in my opinion, are a blessing. They helped me and my family when I most needed a car. Today I'm buying my 2nd car here, and again they're blessing me. Here you will truly make friends. Thank you to all. I have bought several vehicles from Wayne's. Every time they bend over backwards to accommodate me & my wife!